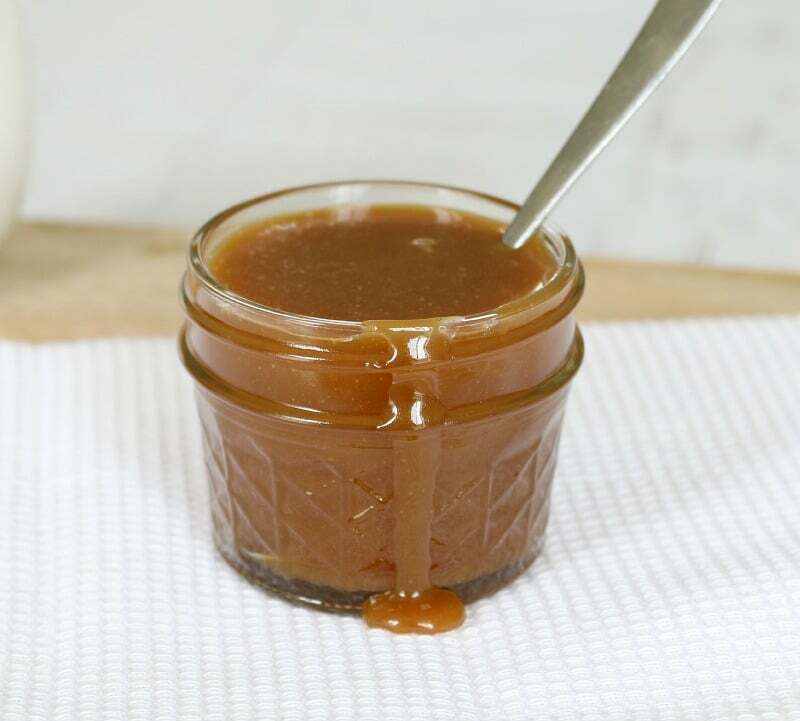 Learn how to make the perfect salted caramel sauce without the need for a sugar thermometer! Only 4 ingredients and it takes less that 15 minutes! One of my favourite things in the world is salted caramel sauce. In fact, anything salted caramel flavoured is definitely ok by me! 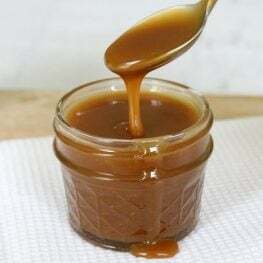 And I know that you can easily buy salted caramel sauce from the supermarket, but it’s so, so easy to make it at home. 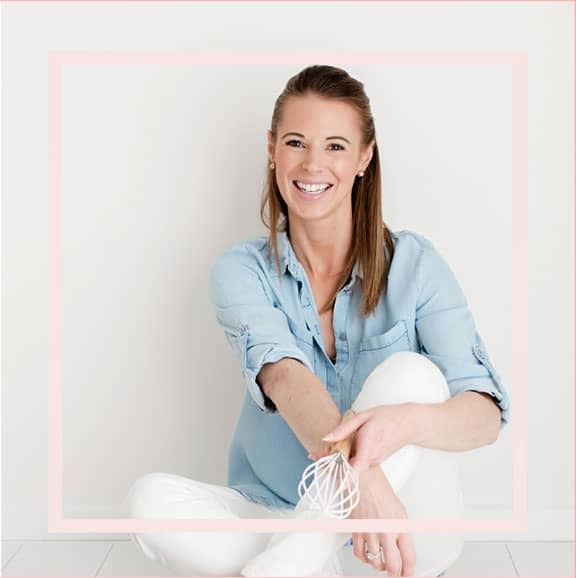 Plus, you’ll save yourself heaps of money (and it will taste way better too!). 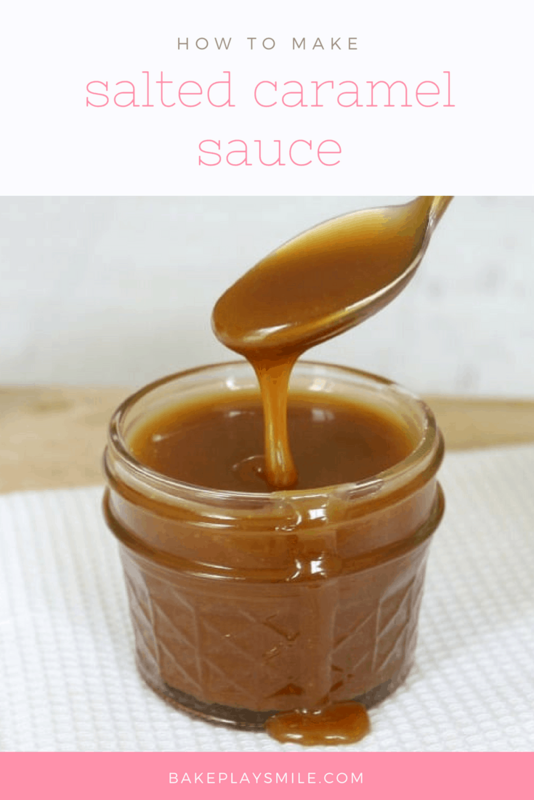 Some salted caramel sauce recipes require a sugar thermometer, but not this one – nope, this recipe is so simple and doesn’t require any fancy equipment (because really… who on earth wants to stand over the stove with a sugar thermometer!!!). You might be thinking it’s a bit weird to use unsalted butter in salted caramel sauce… and you would be right! But, the reason behind my logic is that if you use salted butter, you can easily overdo the saltiness and ruin your caramel sauce. By using unsalted butter you can control how much salt you put into your sauce. Because I’m an extra salty fan, I always put in 1/2 tsp of salt, but I’d recommend starting with 1/4 tsp, giving it a taste and then adding more from there. You can always put more salt in, but you definitely can’t take it out! 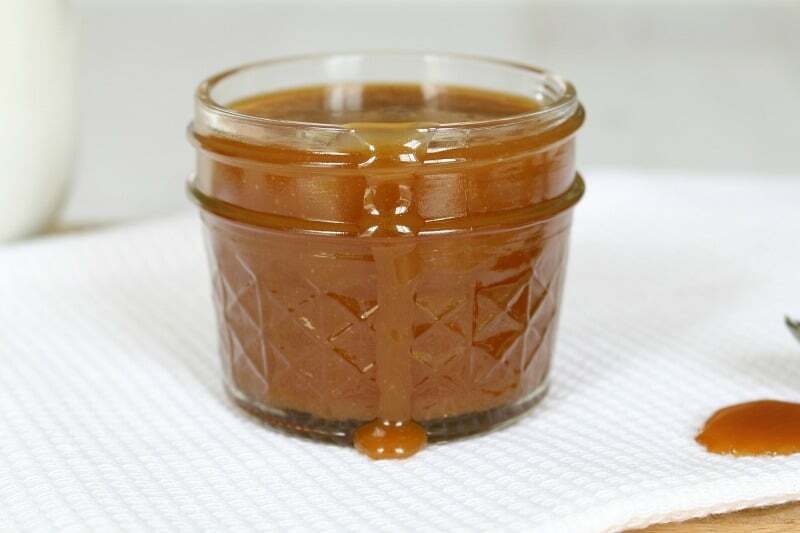 So to make this easy salted caramel sauce, you need to pop your butter into a saucepan over a low heat. Allow it to slowly melt, while stirring occasionally. When the butter has completely melted, add the brown sugar and the cream. Increase the temperature to medium. Stir occasionally until the sugar has dissolved. Add the salt and give it a quick taste – add extra salt if required. Stir occasionally until the sauce begins to gently simmer and then allow to simmer for 2 minutes (still giving it the occasional stir). Remove from the heat and set aside. And that’s it!! 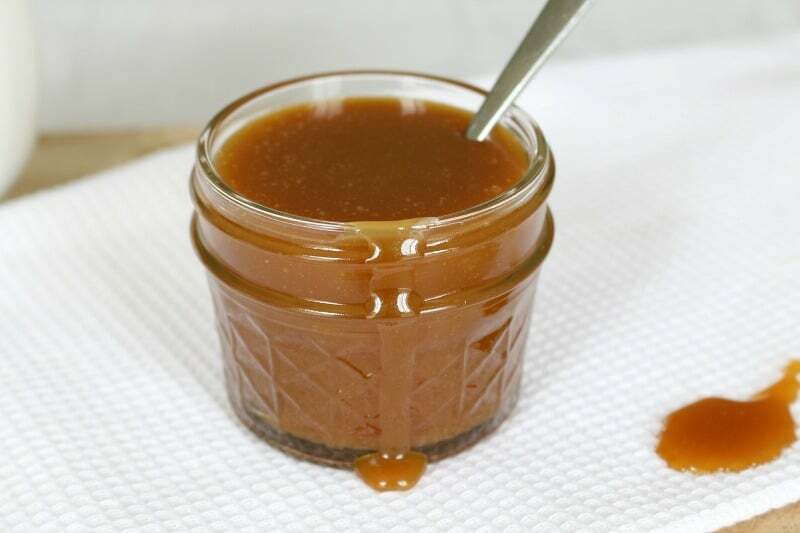 You’ll make a huge batch of salted caramel sauce and it will hardly cost you anything at all. Store your salted caramel sauce in a sterilised jar for up to 2 weeks (but trust me, it will never, ever last that long!). Pop your butter into a saucepan over a low heat. Allow it to slowly melt, while stirring occasionally. When the butter has completely melted, add the brown sugar and the cream. Increase the temperature to medium. Stir occasionally until the sugar has all dissolved. Add the salt and give it a quick taste - add extra salt if required (be careful because it will be hot!). Stir occasionally until the sauce begins to gently simmer and then allow to simmer for 2 minutes (still giving it the occasional stir). Store in a sterilised jar for up to 2 weeks. 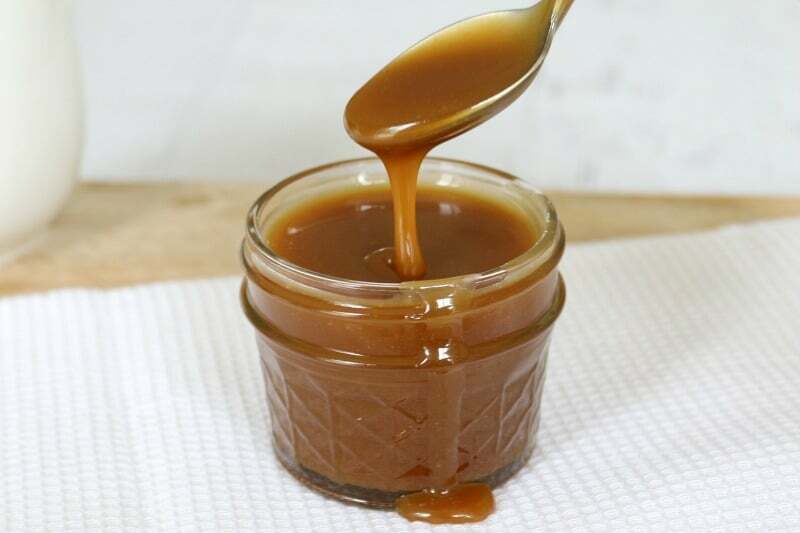 Salted Caramel Sauce made in the Thermomix! 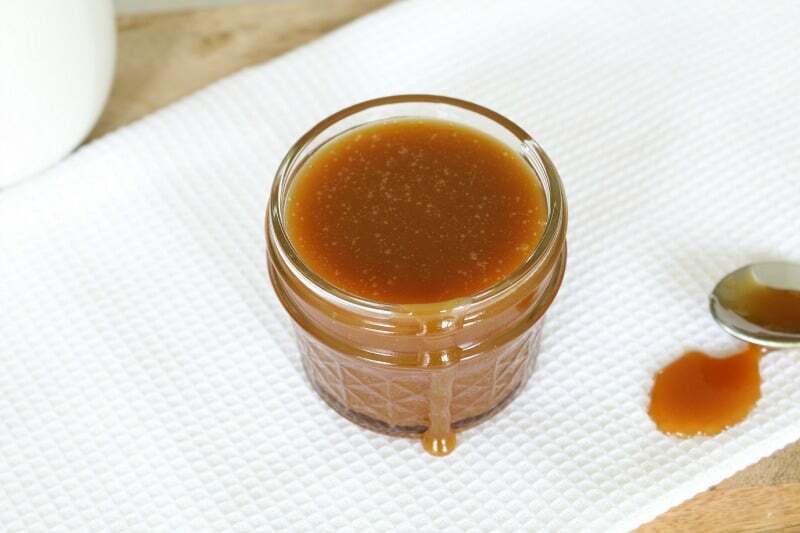 Learn how to make the perfect salted caramel sauce without the need for a sugar thermometer! Only 4 ingredients and it takes less that 15 minutes! Place all ingredients into the TM bowl. Cook on Varoma, Speed 2 for 6-9 minutes with the MC off (cook for a further couple of minutes if you'd like your sauce to be thicker). Please note: sauce will thicken further on cooling. I made huge amounts of this for Christmas gifts 2 years ago and omg was it ever a hit! It’s the best thing to give away as pressies, isn’t it! Everyone loves a homemade DIY gift… especially when it’s yum! I love Salted caramel Lucy and I love how easy this one sounds to make. I make one but I add the cream last and it bubbles up in a scary kind of way! I’ll definitely be testing out your version next time I make it. Ooh yum! 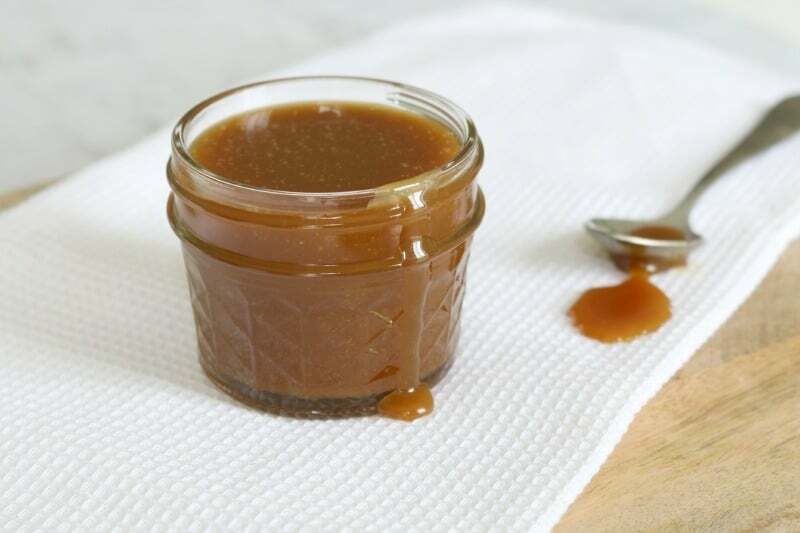 There’s nothing better than salted caramel sauce, is there! OK, I’ve just bookmarked this post for post-diet fare. Wowsers, I can almost taste it. Those pictures look glorious! Hahaha this is most definitely post-diet food!